Chicago Bulls general manager Gar Forman and Co. have not done a whole lot to inspire confidence in the team’s fan base. The hiring of former head coach Fred Hoiberg turned into a complete disaster. Meanwhile, Jim Boylen hasn’t proven to be much better in his short time in the Windy City. In order for the downtrodden Bulls to even become remotely competitive over the short term, a change is needed within the team’s roster makeup. To do that, the 12-win Bulls must make multiple trades before Thursday’s NBA deadline. Jabari Parker must go: What’s the point of hanging on to him? Having signed a one-year, $20 million deal with a team option for the 2019-20 campaign, Parker has been in and out of the Bulls’ rotation all season. There’s no way this team picks up his option for next season. Linked in various trade rumors, Parker’s expiring contract should be seen as valuable around the Association. Realistically, this puts Chicago in an advantage when it comes to negotiations. The most recent report has Parker linked to a deal with the Lakers that would bring back the expiring deal of Kentavious Caldwell-Pope. Unless the Bulls can get a longer-term option as a cap filler to go with KCP, why would the team even consider doing this? Maybe a draft pick would work, too. End the Robin Lopez charade: If the veteran is not traded, simply buy him out. It’s rather clear that Lopez does not want to be a member of the Bulls. He’s played it professionally, but what’s the point of keeping him on right now? In the final year of his contract, Lopez should at least be able to net a second-round pick and another player in return. Chicago’s philosophy of saving cap room as a way to lure free agents doesn’t make sense. Not a single player of substance wants to join this ship until its righted. 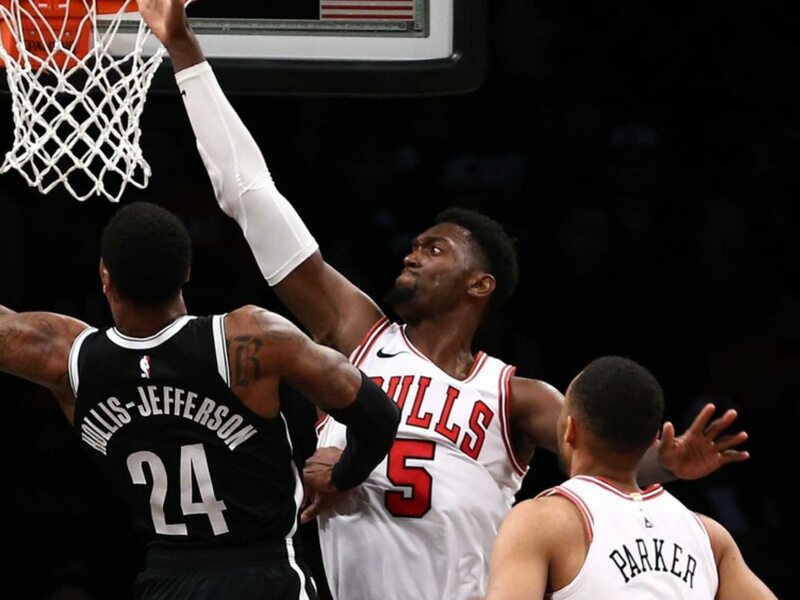 Get value for Bobby Portis: If he’s not going to re-sign long term, why keep him aboard? We’re not saying that Portis will leave as a restricted free agent during the summer. Instead, it’s all about the long-term in Chicago. He has solid trade value right now. Why not look to move the talented forward? Portis would bring back at least one solid young player and a draft pick in return. This would be a way to keep the rebuild in motion without the threat of losing him for nothing. Brings us to our final point: Stop thinking of the cap, and look for assets. If the Lakers were to even finagle rookie Isaac Bonga as a throw-in for Parker, it would give Chicago something of substance after that failed experiment. If not the Lakers, a team like the Nuggets could offer up the longer-term deal of Mason Plumlee for Parker. Why simply look to move salary while failing to add talent? Makes no sense. In short, the status quo is not working for the Bulls. This has been the case since the team’s fall from relevance some two years back. It’s time for Chicago’s front office to be more proactive than what we’ve seen in the past. Period.